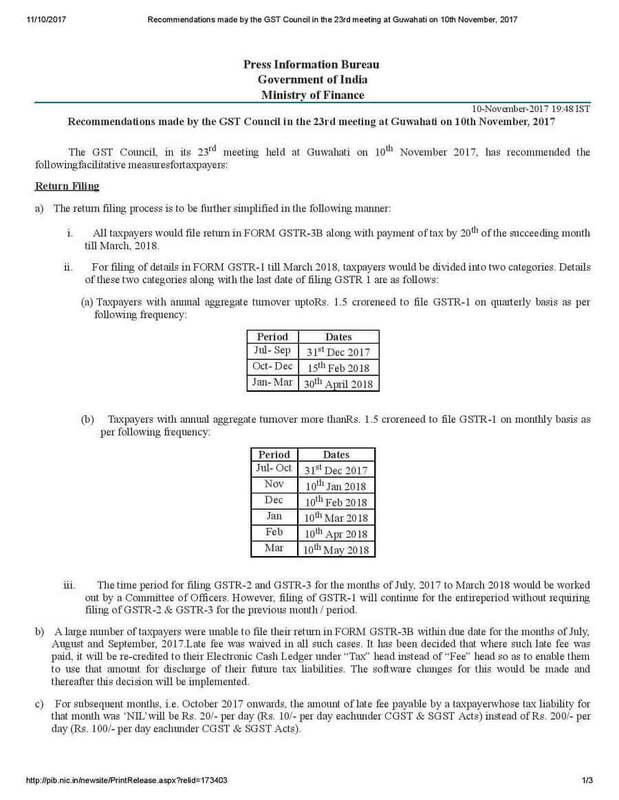 Earlier Late Fees for GST Returns was waived . Embassies and Diplomats are allotted UIN Numbers. However, Earlier they were issued separate UIN for each states. Hence they had to file Separate Refund application for each state of India. Date was last extended to 15 November 2017. 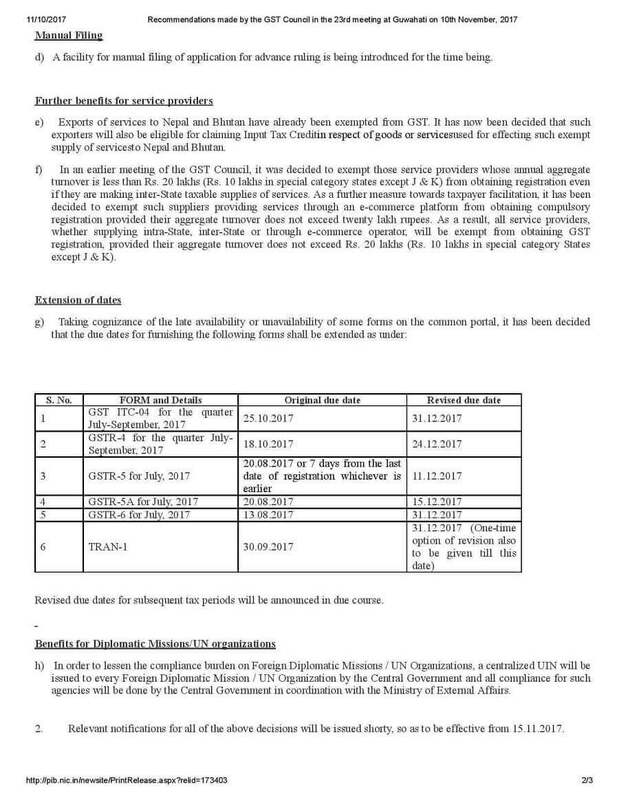 Now it has been further extended to 31 December 2017. The exporters can claim refund of this input or adjust it against their local sales.